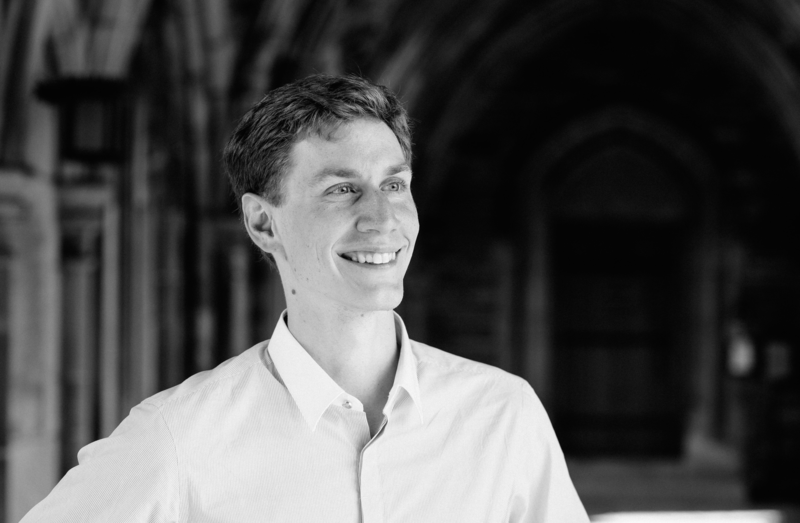 I am currently a PhD student in Cornell's Information Science department advised by Malte Jung and Erik Andersen. I completed my BS in Mechanical Engineering at Purdue University with minors in Computer Science, Asian Studies and Global Engineering. My research interests include cross-cultural communication and technology for foreign language education. The aim of my work is to understand the key elements of foreign language learning and design systems where learners can engage with these elements. My previous work has explored providing context through 3D environments and enabling interactions between learners through virtual avatars. In the future, I plan to design systems to help learners build collective language learning expertise, and facilitate learner development of cultural intuition. Gabriel Culbertson, Shiyu Wang, Malte Jung, and Erik Andersen. 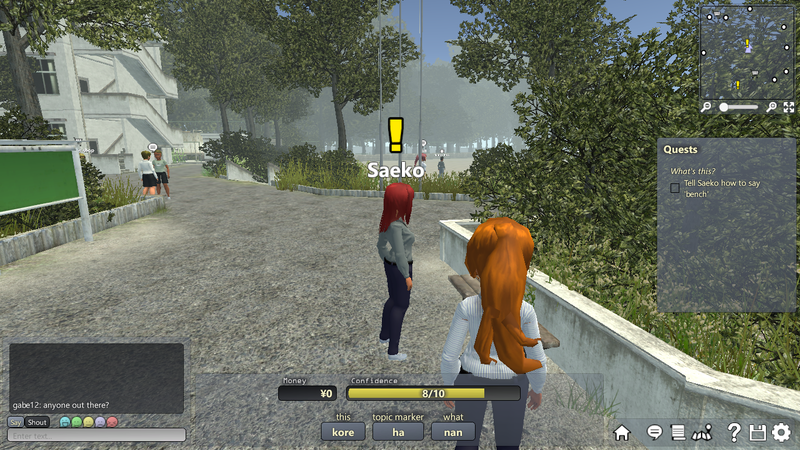 "Social Situational Language Learning through an Online 3D Game." Proceedings of the SIGCHI Conference on Human Factors in Computing Systems (CHI’16). ACM, 2016. Gabriel Culbertson, Erik Andersen, Walker White, Daniel Zhang, and Malte Jung. "Crystallize: An Immersive, Collaborative Game for Second Language Learning." Proceedings of the ACM Conference on Computer Supported Cooperative Work. ACM, 2016. Gabriel Culbertson. "Crystallize: Simulating Language Immersion through Gameplay." CHI’15 Extended Abstracts on Human Factors in Computing Systems. ACM, 2015. Verma, Ansh, Gabriel Culbertson, and Karthik Ramani. "Chiron: interpreting signals from capacitive patterns and inertial sensors for intuitive shape modeling." CHI’14 Extended Abstracts on Human Factors in Computing Systems. ACM, 2014. 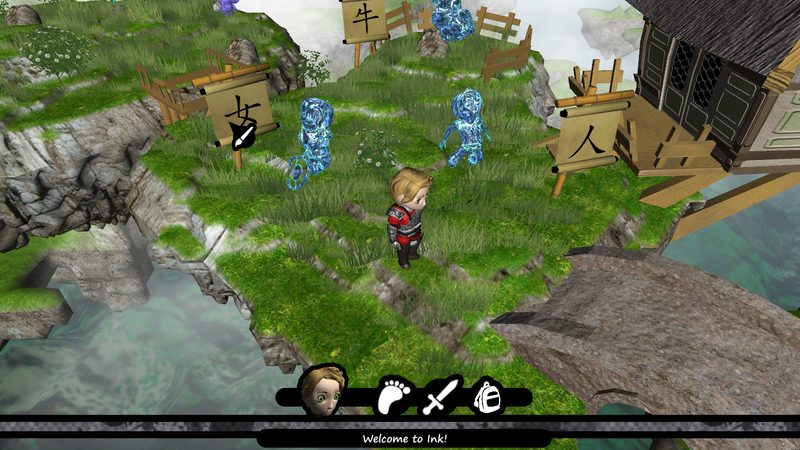 Ink is a fantasy roleplaying game for learning to write Chinese characters. Players solve game challenges by writing using the correct Chinese characters.